The Legislative Deputy to the Government Representative in the Senate plays a major role in coordinating daily debate in the Red Chamber. The Legislative Deputy plays a major role in coordinating with colleagues from other Senate groups on the structure of daily debate in the chamber. The role also includes managing and moving Government procedural motions, such as those related to Royal Assent ceremonies, pre-studies of bills and adjourning the Senate. Formerly styled as the Deputy Leader, the new title reflects the fact that the Legislative Deputy is not part of a partisan group, does not lead a caucus and has no power to direct the votes of other Senators. Senator Diane Bellemare has served as Legislative Deputy to the Government Representative since May 2016. A key duty of the Legislative Deputy is to participate in the daily “scroll” meeting, where the business of the Senate is ironed out. 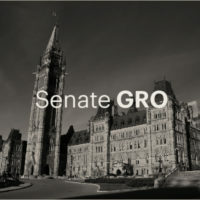 Representatives from each group in the Senate (Conservative, Senate Liberal and Independent Senators Group) meet with the Legislative Deputy, as well as clerks, ahead of each sitting to identify the bills and motions to be debated and voted on that day, and which Senators will take part. The group discusses each item on the order paper to determine if it will be debated or not, which in turn helps the Speaker of the Senate preside over proceedings and gives an indication of how long the sitting will last. (It should be noted that any individual Senator can choose to join the debate during the sitting even if he or she did not previously indicate an intention to do so that day.) In the past, meetings included only the Deputy Leader of the Government and the Deputy Leader of the Opposition, which were the only organized groups in the Senate. Now, with four distinct groups, the meetings include more perspectives. Scroll meetings are an opportunity to begin negotiating timelines on specific bills—and with cooperation can avoid the need to use time allocation. Though provisions allow the Government Representative Office to move a motion to impose time allocation to expedite business, so far this session neither the Government Representative nor the Legislative Deputy have moved to do so. In contrast, under the previous Government, time allocation was routinely used in the Senate. The Government Representative Office also supports the creation of a business committee for the Senate to more seamlessly schedule debates and eventual votes on bills. The Legislative Deputy supports the Government Representative, and can perform many of the same tasks in the Senate chamber, such as introducing Government bills, tabling Government documents and giving notice of Government inquiries. In the absence of the Government Representative, the Legislative Deputy can fill as ex officio member of certain committees. Senator Diane Bellemare currently serves as Legislative Deputy.